Have you ever wondered how the world looks through your dog’s eyes? It’s long been debated and contested whether or not dogs can see what we can. 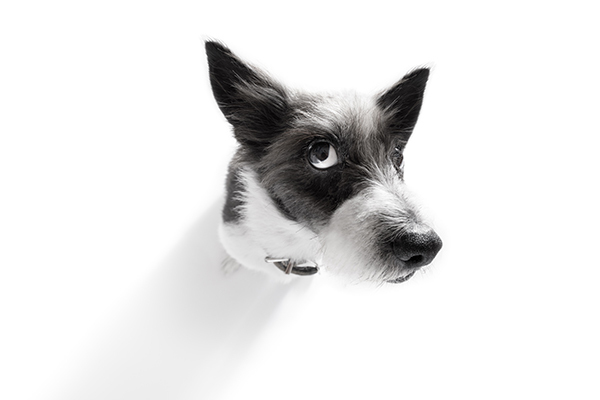 Do dogs see in black-and-white or are dogs colorblind? Can dogs only see based on movement — like a shark who relies on the thrashing of fish’s fins to hunt? You have questions, and we’ve got answers. Are dogs colorblind? Let’s first understand how dog eyes work. Photography ©damedeeso | iStock / Getty Images Plus. Before we answer “Are dogs colorblind?” let’s first look at the composition of their eyes. “It is a common myth that dogs only see in black and white, however they do see a different spectrum of colors to us,” explains Dr. Kate Bruce, BVSC, a registered veterinary surgeon in Australia. In short, doggos don’t see the world the way we do. While the anatomy of their eyes is surprisingly similar to humans, there are a few key differences that change a dog’s visual perception. Like us, puppy eyes have a cornea, pupil, lens, retina, and rods and cones. The positioning of a dog’s eyes is a lot like a human’s — at the front of the face, which is the inherent mark of a predator, an animal typically not considered prey (for example, frogs). This means we have limited peripheral vision (unlike a frog). So, the main difference between our vision and dogs’ lies in the retina: a dog’s retina possesses more rods than cones, whereas humans’ retinas possess more cones. “Rods are used for sensitivity to minute changes in light level and detection of motion, but provide no color perception and are poor at providing resolution, therefore they contribute mostly to vision in dim light,” explains Dr. Brooke Schampers, a veterinarian at the Animal Emergency Service. “Cones provide high resolution, fine detail, rapid response and color perception, but they have low sensitivity to small fluctuations in light intensity. They contribute mostly to daylight vision,” says Dr. Schampers, who answered in conjunction with Dr. James White from Animal Eye Services. Since dogs have less cones, it would serve to reason that they are not as good at interpreting brightness and color. So, based on their anatomical makeup, a dog’s strength lies in low light, hence improved night vision. Dogs use their superior sense of smell to make sense of the world around them. Photography ©Halfpoint | Thinkstock. Unlike us, dogs do a much better job of using their sense of smell to understand what’s going on. That’s because dogs have 300 million olfactory receptors in their noses, so whether it’s light or dark, puppers can smell their way through their environment. So, back to the questions at hand — what does all this mean for dogs’ vision? Are dogs colorblind? 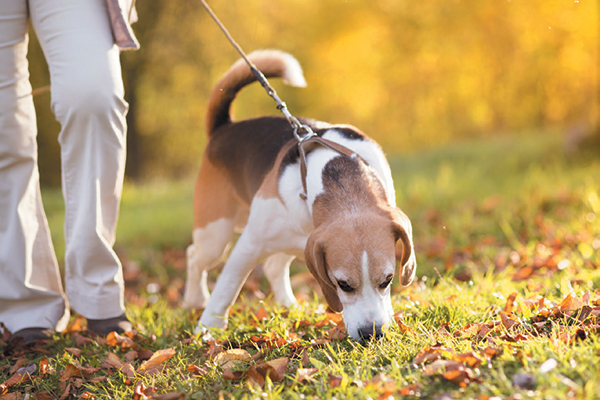 Keep reading to find out answers to frequently-asked questions about dog vision! Dogs aren’t colorblind in the traditional sense, and dogs don’t see solely in black and white. Their retinas are in fact able to process certain colors more efficiently than others. “In the canine retina, about 20% of the photoreceptors are cones, compared to nearly 100% in certain central areas of the human eye,” says Dr. Carter. “Dogs also only have two types of cones while people have three. In addition to studying the physical makeup of the eye, behavioral tests have shown that dogs can distinguish between blue, yellow and red, but have a harder time telling the difference between red and green,” Dr. Carter, who documents his veterinary adventures on Instagram, adds. Okay, So, What Colors Can Dogs See? Dogs have an easier time seeing the colors blue and purple, thanks to the two types of cones in their retinas. Canines have dichromatic vision, which means they have a trickier time processing red, green and orange. Dogs see colors on a yellow to blue spectrum. “Humans have what’s called trichromatic vision, which means their eyes can perceive three primary colors (red, green and blue), and their variations, giving us the rainbow that we see. Dogs however, have dichromatic vision, meaning they can only interpret two colors and therefore see a different spectrum … This is similar to red-green color blindness in people,” Dr. Bruce adds. Because humans have trichromatic eyes, we are able to process more of a variety of colors on the spectrum. Is a Dog’s Vision Based on Movement? A dog’s retina doesn’t have the ability to sharpen details the way human retinas do. For this reason, dogs rely much more on movement (and smell, obviously) to determine what’s happening. So, when your dog is chasing a ball through the grass or fetching a stick, it’s quite possible she’s relying more on the clarity of movement than searching for the actual color of the item against the color of the grass. How Does What Dogs See Affect Them? Dogs rely on their motion-detection senses when it comes to vision. So, why is a squirrel such a big deal for dogs? Aside from a squirrel kicking off a dog’s hunting skills, the fast movement through the trees immediately catches a dog’s eyes and attention. Additionally, the way dogs interpret movement aids them in being able to watch TV. Yeah, it’s not just you. Have you ever noticed your dog paying rapt attention to a program? Dogs can differentiate pictures of humans from other dogs on TV and even understand that the sounds from TV align with those pictures. So, next time you catch Fido staring at the telly, make sure to put on a program that features animals because he’ll be captivated by the pictures and sounds! Thumbnail: Photography by Dirima / Shutterstock. The post Are Dogs Colorblind? A Guide to What Your Pup Can (and Can’t!) See appeared first on Dogster.